Think ideal summer style and comfortably chic outfits are the instant desire. If I ever was asked to pick between living in shorts or flowy numbers, the latter would be my indubitable choice. 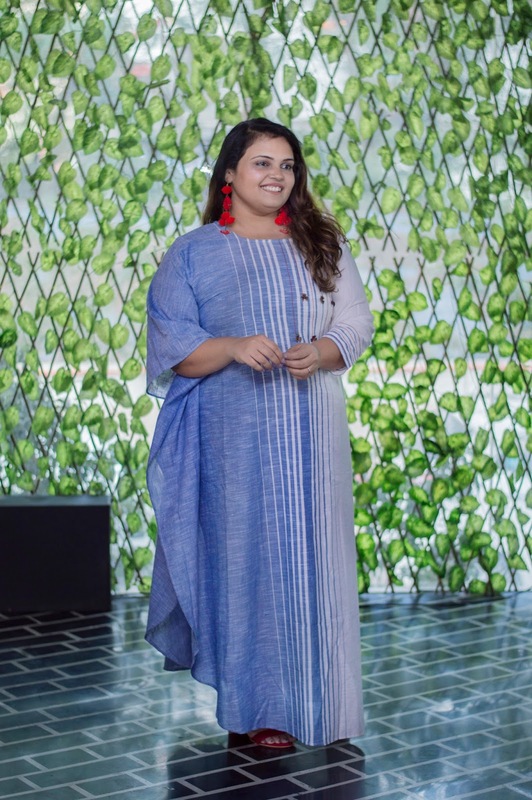 And this summer 2018, I'm all about them pastel cotton handloom flowy creations by a certain Pune-based designer. Read on to find out more about that coolness quotient this season. 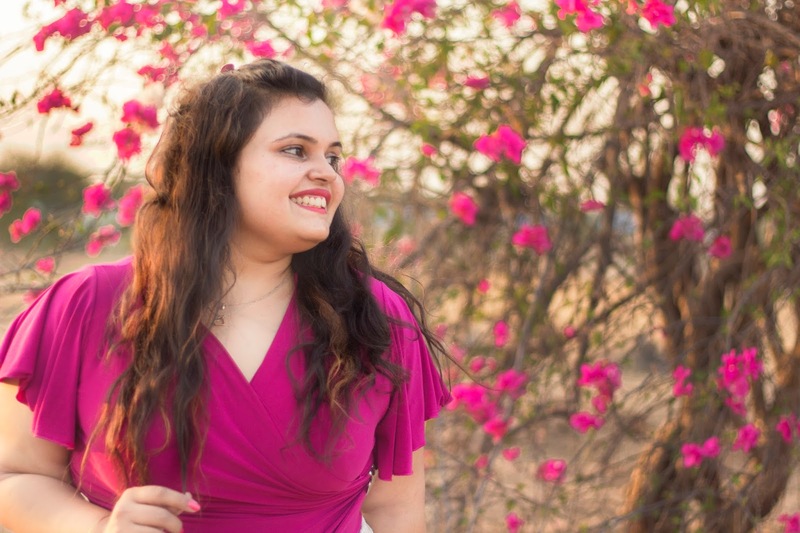 A designer who aces traditionally Indian and à la mode contemporary designs alike with equal ease, meet Nilakkshii. Walk into her store located at Virwani Plaza, East Street, Camp in Pune and you're sure to be left spell-bound. 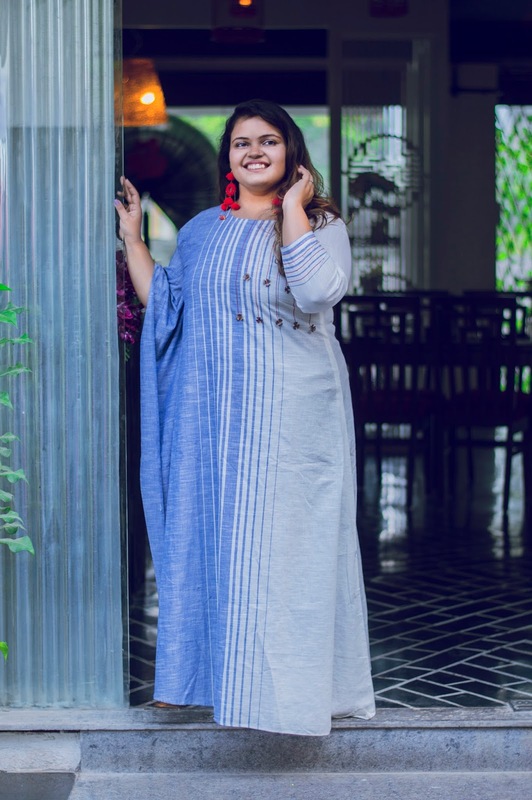 Be it stunning ethnic pieces with intricate hand embroidery or urban picks that epitomize sophistication, you can find it all under one roof by this awe-inspiring designer. 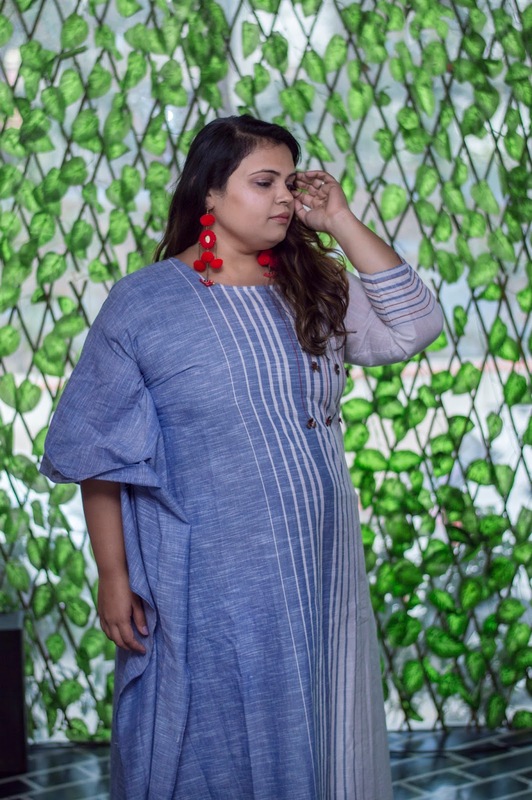 With the onset of summer, I'm in the process of updating my wardrobe not only with voguish ensembles but more importantly practical fabrics; speaking of which, cotton handloom remains my absolute favourite! The fabric, in my opinion, is an embodiment of grace, class and finesse. 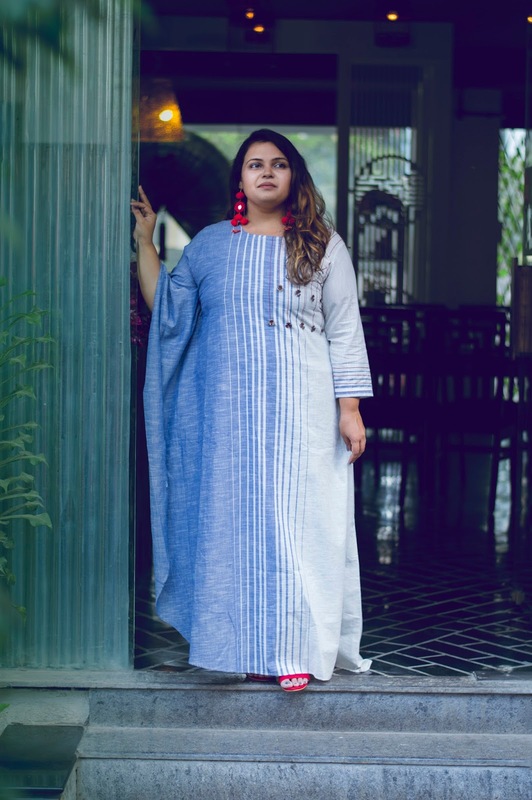 I fell in love with this pure cotton handloom, one-sided kaftan the minute I laid my eyes on it at the designer's store. I mean look at that sober, subtle colour. Minimalistic and supremely comfortable, it is adorned with metal gold flowers and thread-work to lend an edge to the look. I paired the number with red heels and red boho earrings with mirror-work for a contrast of sorts. Doesn't this outfit seem an exemplary must-have for every diva? 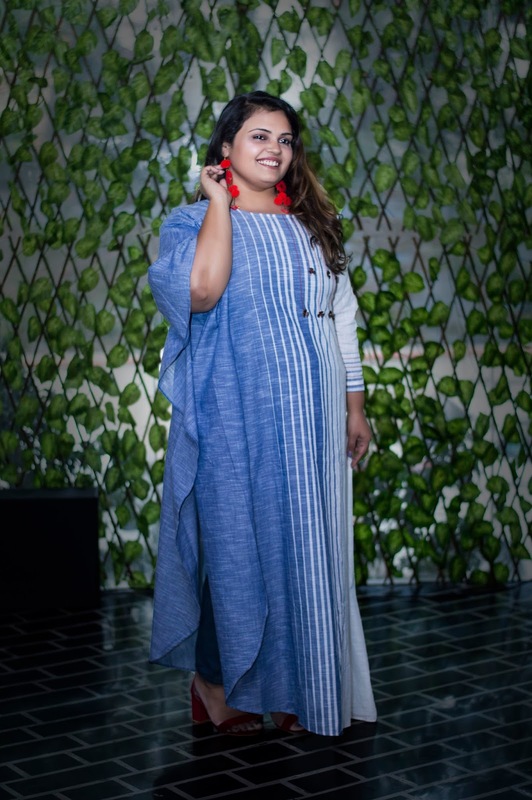 Brunches and pool-side chilling, donning creations by Nilakkshii are bound to help you make a head-turning statement, irrespective of where you go.